"LogicGates is a puzzle game based on basic digital building blocks - logic gates. 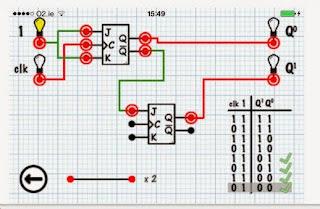 No knowledge of logic gates or digital circuits is required - all puzzles can be solved with logical reasoning alone. Each pizzle will challenge you to create a new digital circuit, and on completion you will be rewarded with a new logic gate that you can use to solve other puzzles. This game is ideal for anyone who wants to learn the basic principles of how computers work - especially students of digital engineering or computer science. 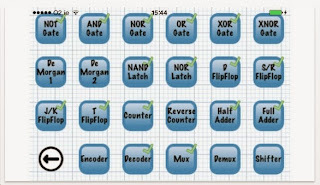 Learn how to create simple logic gates, latches, flip-flops, adders, shift registers and counters." I have not truly had enough time to play Logic Gates. I'm a bit overwhelmed with the end of year doings. Logic Gates is quite serious. You can't jump right in. A video tutorial would really help. 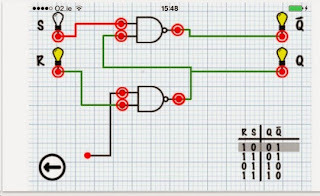 Blog followers: please give Logic Gates a shot and let me know what you think. You can find some logic diagram templates in creately diagram community.